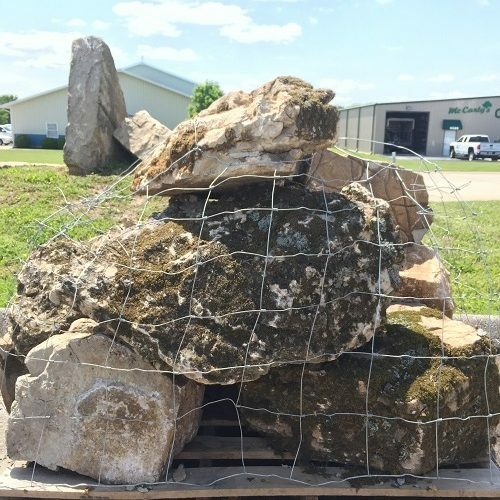 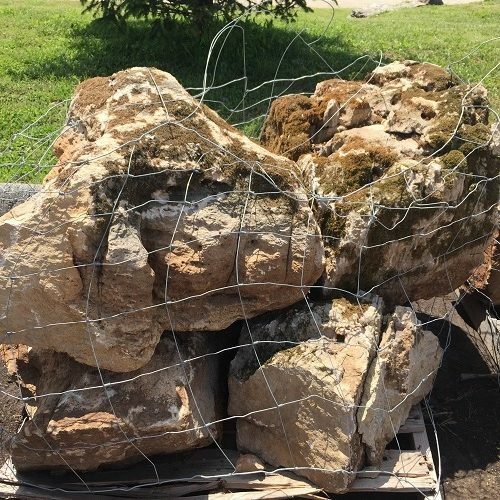 Weathered Limestone Boulders can bring a natural look to any landscape. 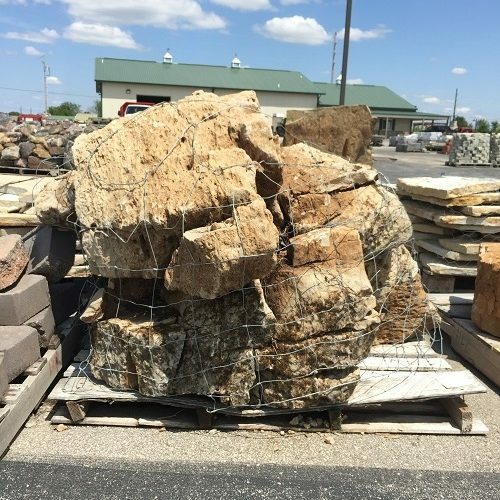 These boulders are a buff, white and brown colors and come with a mossy finish. 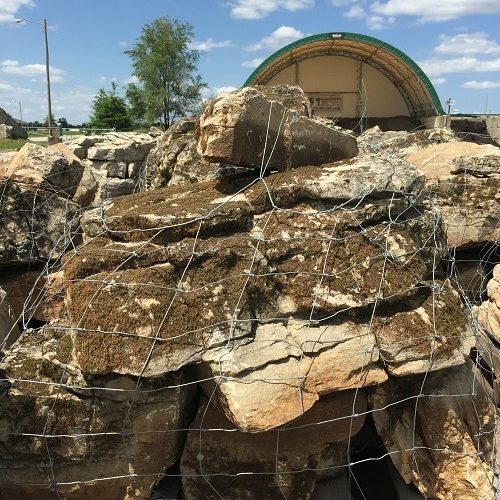 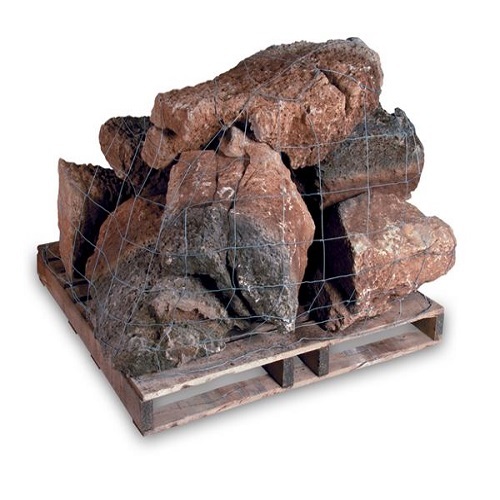 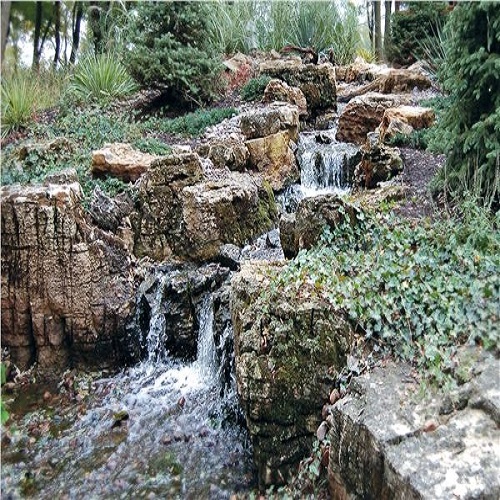 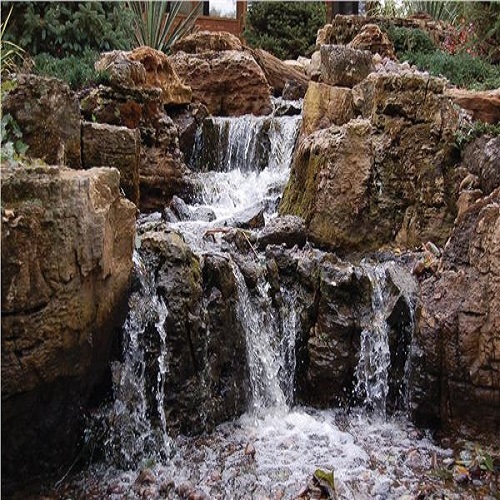 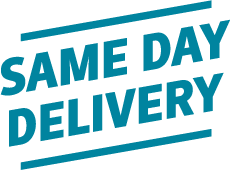 These come in a variety of sizes from smaller rocks to large boulders.